Only enter your “app name”. For example, you’d want to enter just “myapp” in the field above if your Infusionsoft URL was “https://myapp.infusionsoft.com” but don't enter any of the other characters, just “myapp”. 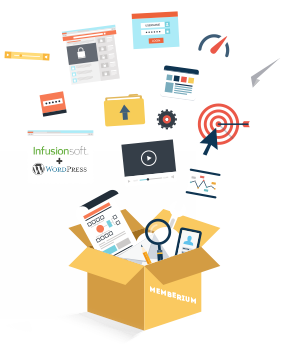 Instantly Download & Use Memberium with up to three different Infusionsoft apps on an Unlimited number of domain names.